In 2015, SPW has began a new cycle of global analysis. This new project is titled SexPolitics: Mapping Key Trends and Tensions in the Early 21st Century. As the title suggests it will aims at developing a critical assessment of trends and shifts in the various realms of sexual politics at large (and sexual rights politics in particular), which occurred during the first 15 years of the 21st century, a period which roughly coincides with the trajectory of SPW since its inception in 2002 through the present. In the context of this project a group of 30 researchers and activists were invited to author papers covering a gamut of sexual politics topics. A research meeting was convened that took place in Durban, South Africa, in July, 2016 right before the International AIDS Conference and other eleven partners were invited to participate as commentators. Mark Gevisser, one of the invited commentators, wrote an insightful commentary on the Durban debates. This new project will continue unfolding until 2017. Between 2012 and 2015, in collaboration with partners from the global South and the US, SPW began a new line of work to examine the intersections between geopolitical trends — coalescing around the “emergence” Brazil, China, India and South Africa – and the politics of sexuality and human rights in these countries as well as in their global interactions. This project entitled Emerging Powers, Sexuality and Human Rights resulted in two Working Papers and a series of videos that can be also accessed online . 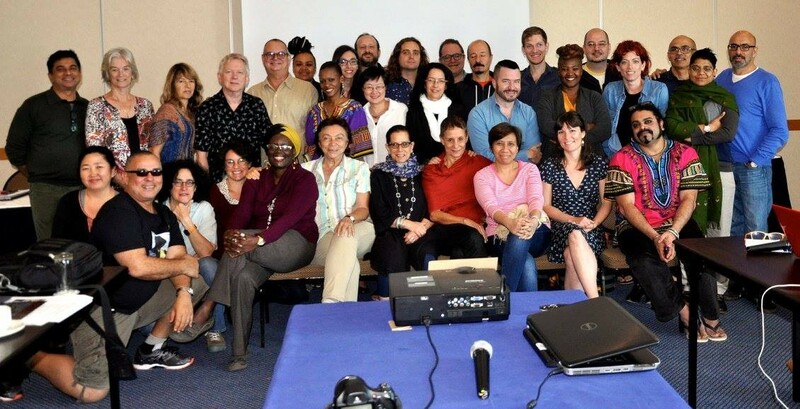 Between 2009 and 2011 a second long term global research effort performed by SPW involved three Regional Dialogues on Sexuality and (geo)Politics — in Asia, Latin America and Africa — as well as an inter-regional meeting held in Rio de Janeiro. This effort resulted in the two e-books Sexuality and Politics: Regional Dialogues from the Global South Vol. II and Vol. II available since 2014. Between 2004 and 2007 SPW has performed its first global research effort. It examined sexual politics dynamics in eight countries – Brazil, Egypt, India, Peru, Poland, South Africa, Turkey and Vietnam – and two global institutions: the United Nations and the World Bank, resulting in SexPolitics: Reports from the Frontlines also available in Spanish – Políticas sobre Sexualidad: Reportes desde las líneas del frente. While this research initiative evolved, Sonia Corrêa, Richard Parker and Rosalind Petchesky were engaged in a parallel project that led to the writing of the book Sexuality, Health and Human Rights published by Routledge, in 2008. Relevant trends in transnational and national sexual politics are addressed by the SPW Working Papers series, which . publishes articles and essays written by our partners and collaborators on a variety of areas or topics as well as country specific trends .